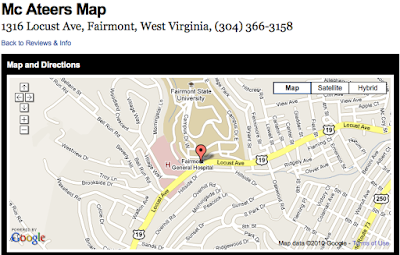 1316 Locust Avenue, Fairmont, WV. 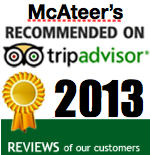 Check back to keep an eye on the McAteer St. Patrick's Countdown! 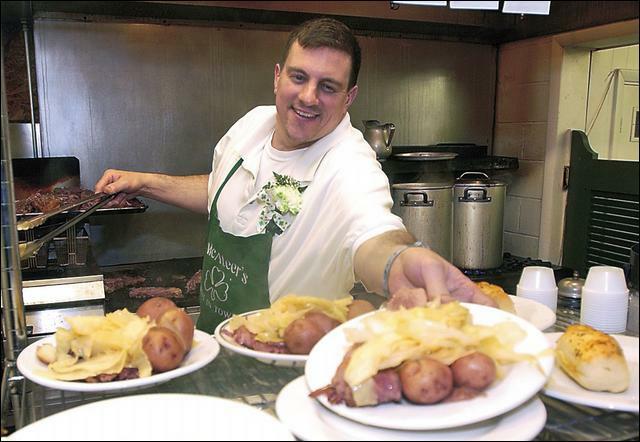 FAIRMONT — “I may not be Irish, but it’s fun to be Irish on St. Patrick’s Day,” said Charles Long as he sat down for lunch at McAteer’s restaurant Wednesday. Long dined on Irish fare such as corn beef, cabbage, potatoes, cobbler and hard rolls. 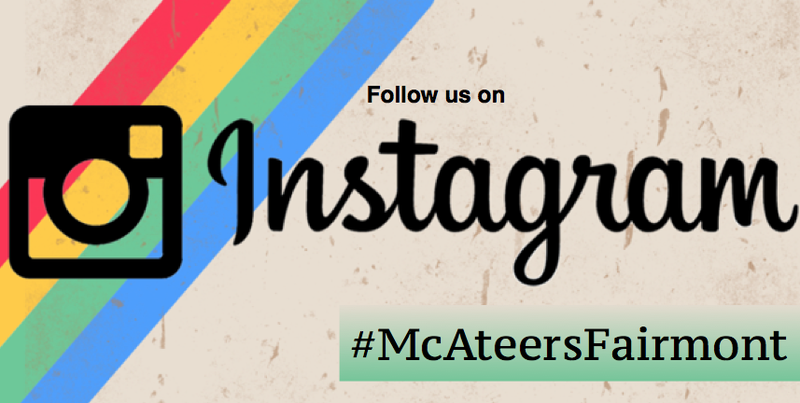 Become a Fan on Facebook for McAteers! 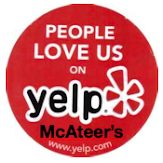 My family and I recently visited Mcateers for lunch this past weekend the place doesn't dissapoint. Very cool authentic drug store/pharmacy with the checkered floor, the milkshakes, the diner stools (that my kids love to spin on) and its located right across from Fairmont General near Fairmont State on Locust avenue. The sandwiches were great, the services was attentive and we will be back for sure. You can tell this is a family run establishment with attention to detail for good food and a good experience that keeps you wanting more.. 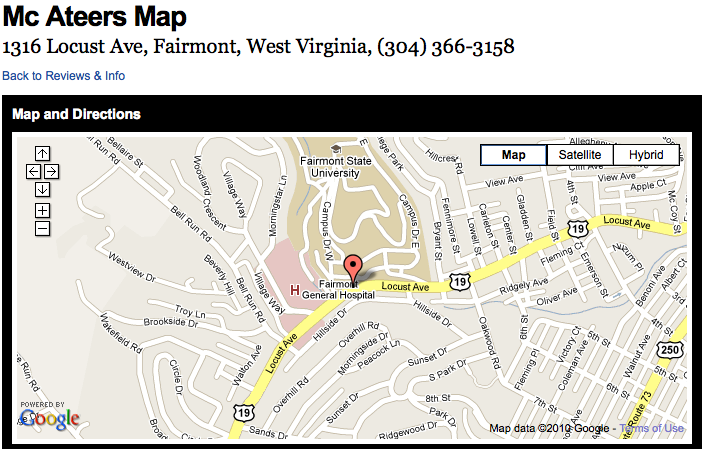 This is the ONLY place to eat in Fairmont. We used to drive from Morgantown just to eat breakfast or lunch there. The authentic diner, the homemade food and the location at the bottom of Fairmont College make it the perfect spot to eat anytime we are in the area! If I could give it 6 stars out of 5 I would! I lived in Fairmont for 4 years and never went to McAtters... HUGE MISTAKE. A sorority sister took me for breakfast the last time I was in town and I fell in love. The most amazing spinach, mushroom and ricotta omelet I've ever had. Their cinnamon raisin toast is fabulous so good. I want to move back!!! 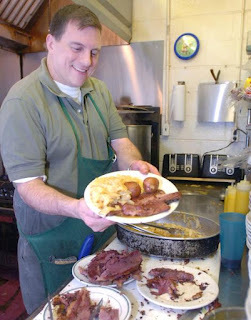 I've lived in New York City, London, and Washington, D.C. and the food at McAteer's is the best diner food I have ever had. 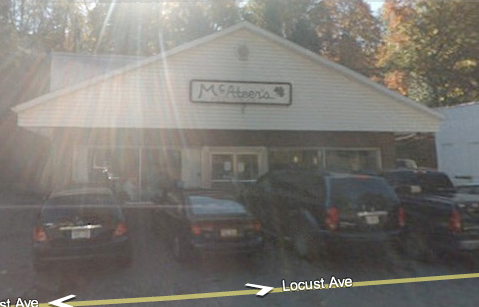 We travel all the way from Colorado to visit "Mom", and while we're in WV we ALWAYS have breakfast at McAteers. Be sure to order the homemade bread (wheat or white), the Demus sausage and the pan fried potatoes with peppers and onions. YUM! We can't wait. The ambience is also wonderful...VERY Irish. Say "Hi" to Wayne too. Time to head to McAteers!